Eunice Daudu is a junior at Marymount School of New York. Eunice serves as co-coordinator of the 2016 Student Technology Conference and is also actively involved in Marymount's Science Olympiad Team. 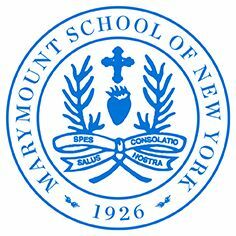 Marymount School of New York is a college preparatory, independent, Catholic day school for girls located on the Upper East Side of Manhattan. It was founded by Mother Marie Joseph Butler in 1926 as part of a network of schools directed by the Religious of the Sacred Heart of Mary. The school enrolls students in Nursery through Class XII. Marymount's mission statement reads: Marymount School is an independent, Catholic day school that seeks to educate young women who continue to question, risk, and grow—young women who care, serve, and lead—young women prepared to challenge, shape, and change the world.